Home HBO TV TV/VIDEOS: Season 5 Trailer Of @HBO Series “Boardwalk Empire” No one goes quietly. 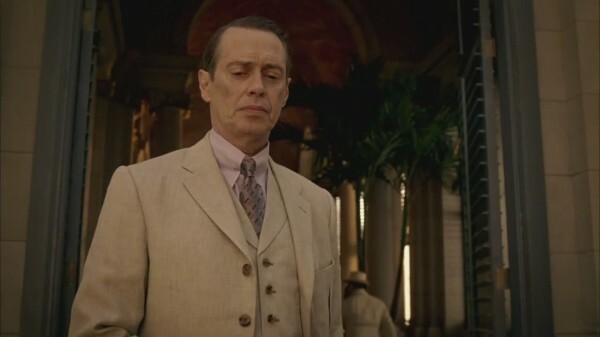 TV/VIDEOS: Season 5 Trailer Of @HBO Series “Boardwalk Empire” No one goes quietly. September 7 cannot come soon enough and it’s actually drawing near (only one month away!). When that Sunday hits, we’ll start to bid the sweet farewell to one of our favorite shows on television, Boardwalk Empire. Season 5 is shaping to go light up like fireworks on the 4th of July, and based on the first trailer, we’re going to see plenty of violence, threats, gun fights and people fall to their demise and/or death. We watched the clip in slow motion to catch everyone that made a brief cameo and saw a few new characters, as well as most of the usual suspects. Shout out to the hussy’s at the club! You still have time to binge watch the series until the first Sunday of next month if you have not yet caught up in the HBO series. We recommend you do.